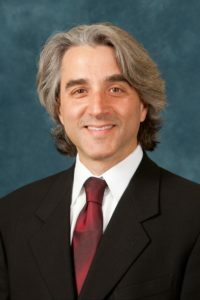 ANN ARBOR—The National Science Foundation has selected University of Michigan researcher Arthur Lupia to serve as the head of its Directorate for Social, Behavioral, and Economic Sciences. The Directorate for Social, Behavioral, and Economic Sciences, or SBE, supports fundamental research in behavioral, cognitive, social and economic sciences. Lupia has more than 25 years of leadership and management experience in the social sciences community. Since 2006, he has served as the Hal R. Varian Collegiate Professor of Political Science at U-M, and holds an appointment as a research professor in the Center for Political Studies in the Institute of Social Research. SBE provides about 68 percent of federal funding for social, behavioral and economic sciences basic research at academic institutions. The directorate serves the nation by supporting discoveries at the leading edge of science, including cognitive science, decision-making, learning and more. SBE also houses the National Center for Science and Engineering Statistics that provides mission-critical information about science and engineering in the U.S. and in the world. Lupia has won numerous awards and honors, including a Carnegie fellowship, Guggenheim fellowship and the National Academy of Science’s Award for Initiatives in Research, as well as numerous recognitions for his scholarship, teaching and public service. Lupia will begin his NSF appointment Sept. 1, 2018.